What is a Pet Dental Exam? During your pet’s preventive care exam, we’ll perform a dental exam as well. Like any exam, we need your account of your pet’s history and behavior. We’ll ask about bad breath, trouble eating, drooling, or pawing at the mouth. Any of these can be signs of dental disease. Next, we’ll examine your pet’s head, neck, and face for any swelling or tenderness. The inside of the mouth will be examined, and we’ll look for any swelling, redness, obviously loose teeth, or lesions. Redness, swelling, or bleeding of the gums can signal gingivitis, a painful condition that stems from a buildup of plaque and tartar at the gumline. 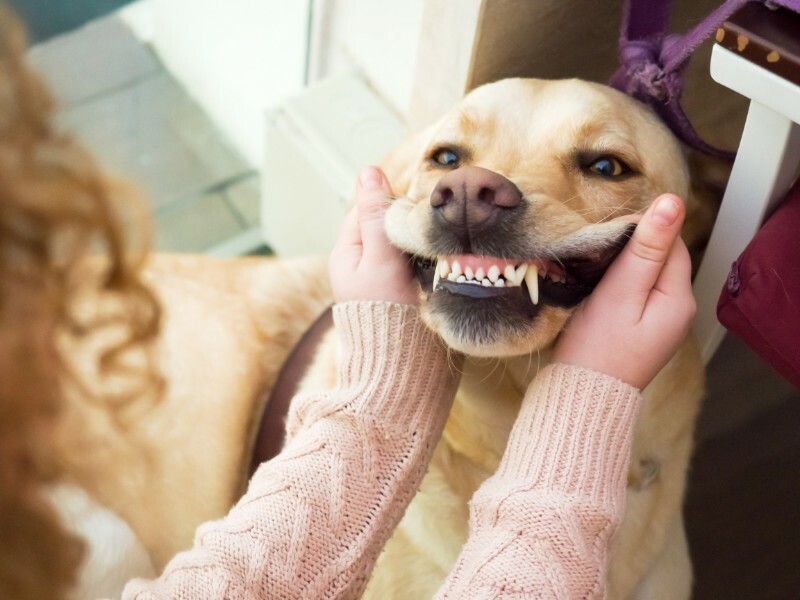 Our veterinarians will then check for any fractured or loose teeth, assess the level of plaque and tartar, and grade your pet’s teeth and gums on a widely used dental grading scale of 1-5. All of these aspects of a pet dental exam can generally be performed without sedation. However, to perform a dental cleaning, we need to anesthetize your pet. Veterinary anesthesia is safer now than ever before, thanks to advanced monitoring and our well trained and attentive technicians. Under general anesthesia, the pet dental exam will continue with dental x-rays. X-rays allow us to see the internal health of the teeth (including the root and supporting bone). Each tooth will be examined and probed for pockets of bacteria below the gumline, and any gum recession will be recorded. A dental cleaning has likely been recommended and can proceed at this point. Dental exams can be beneficial at any stage of life. As your puppy and kitten baby teeth are replaced by adult teeth, we can make sure adult teeth are coming in normally. Puppy and kitten visits are also wonderful for getting young pets used to dental exams and having their mouths and bodies gently handled. Older pets need dental exams, too. Early detection of disease is important to prevent and treat small problems early, before disease becomes advanced. This early detection saves your pet from painful dental conditions as saves you money, too. At home, you can participate in your pet’s good dental health by brushing your pet’s teeth daily. We may also recommend dental diets, chews, or rinses, depending upon your pet’s needs. We are looking forward to seeing your pet for a pet dental exam soon, and to starting or continuing them on the path to good dental health. Please call us to schedule your appointment today!